Winter is a period of transition for urban wildlife species in Canada. Many food sources become unavailable or hard to find and raccoons, squirrels and skunks will rely on the fat they put on during fall to survive. Of course, the urban landscape does continue to provide animals with much needed winter nourishment in the form of food waste. This means that critters will remain active to some degree, even during the coldest parts of the year. Warm den sites are in high demand during winter as animals seek to effectively manage their body fat. Struggling to keep warm requires an awful lot of energy and in turn burns off valuable fat reserves. This makes your home’s attic and walls, as well as the spaces below additions, sheds, decks and porches that much more appealing. Homeowners dealing with a wildlife intrusion will mistakenly believe that a drop off in noise and activity during winter means the animals have left for good on their own. Often, the result is that no action is taken to remove and exclude the wildlife inside their home, a decision that could end up costing them more time and money in the long-run. Most urban wildlife species will begin to have their babies beginning in late March, and litters will continue to arrive through summer. To ensure proper timing, raccoons, squirrels and skunks seek out mates during January and February. Once those babies are born the removal process becomes far more complicated and the amount of damage and contamination inside the home increases significantly. To prevent this unfortunate scenario, it is important to take wildlife control measures during winter. During winter, many urban wildlife species will establish communal den sites, especially groups of juvenile males born together earlier in the year. 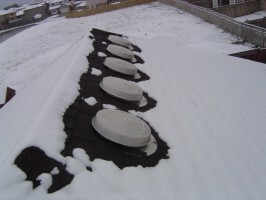 With up to six raccoons sharing your attic, the opportunity for damage to insulation, ventilation and electrical continues through winter despite decreased levels of activity. During the warm summer months, mice will spend much of their time outdoors. Mice feed primarily on seeds and grains that become harder to find as bird feeders are emptied and the ground becomes covered with snow. These tiny rodents move back indoors during fall in search of food and shelter. Homeowners can expect to see and hear increased evidence of rodent activity during winter as mice scratch and chew behind walls and ceilings throughout winter. When living indoors, mice are capable of reproducing throughout the year. Should stocks of stored food dwindle, mice will become bolder leaving the protection of wall voids and attics and entering living space in search of nourishment. One of the most important steps in mouse control is identifying how they are getting in the home. Tiny gaps and cracks in your home’s exterior leak warm air that mice easily detect with sensitive whiskers. It can take an expert eye to identify every entry point. Fortunately, tracks in fresh snow can help to identify travel routes and entry areas. Mice drag their tails are they scurry and leave easily recognizable prints. These pesky critters belong to the bear family, but they certainly don’t hibernate for winter. Raccoon activity slows down in extreme cold temperatures and a thick blanket of snow on the ground can make travel difficult. Instead of leaving their den sites nightly in search of food, raccoons may spend weeks at a time indoors. In the lead up to winter, raccoons will add layers of fat to their body to help sustain them through winter. At times as much as half their body weight could be fat. Raccoons know they can find shelter from the cold inside attics and by late January they will have begun to mate (most often inside those same attics). Pregnancy lasts approximately 63 days and females will raise the babies alone during spring. It is important to evict and control raccoons before they have their babies. 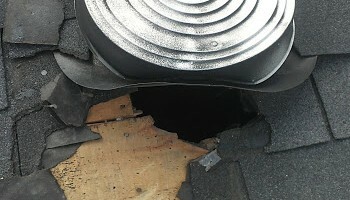 Failing to do so can make their removal more complicated and result in more damage to the home. Short days and cold temperatures signal to squirrels that seeds, acorns and walnuts will soon be in short supply. To help them survive harsh winters, squirrels will spend most of an autumn day clipping nuts from trees and hoarding them in the ground and inside tree cavities. Once winter hits and temperatures plunge, squirrels will spend more time inside their dens, emerging during midday to visit food stores. Competition for a limited number of winter den sites intensifies during fall. That’s when every squirrel will be intent on securing multiple winter den sites to help them survive winter. 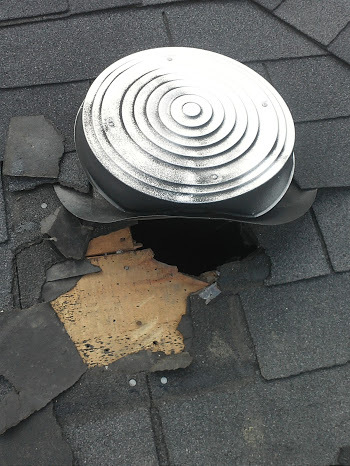 Squirrels nest inside roofs and attics to avoid predators and shelter themselves from the elements. As with raccoons, squirrels begin mating in February with pregnancy lasting between 40 and 44 days. 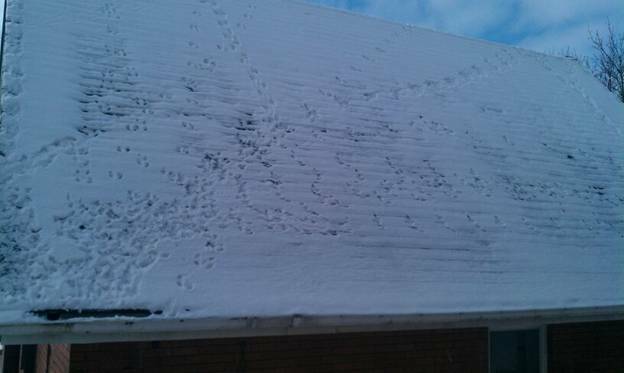 Squirrel tracks on your roof can sometimes be seen from the ground and can be used to identify entry points into the home. Remember, acting quickly to remove a wildlife or rodent infestation is the best way to prevent further damage and save money. Call Skedaddle Humane Wildlife Control today!